This past month has been super busy for me. Productive, for sure...but super busy. As you can tell, this newsletter is a bit late for that reason. As an entrepreneur, I know how important it is to get things done, get them automated, take deep breaths and keep walking. Hmmm. The weather is changing, but not fast enough for me. It's still WAY too green here (had lots of rain recently too), an I'm ready for the beautiful fall colors. You? Autumn. It's not a word I use much. Fall tends to be my word of choice, but this time, using autumn made me feel more...fallish. It made me remember my childhood days, when going back to school in Illinois where we had FOUR seasons (hear my volume turn up just a bit), was always a time of cooler temperatures, leaves on the ground, and sweaters. Here in Texas, I've been wearing sweaters all right, but mostly because every establishment has their air conditioners still blasting! LOL But I digress. I'm ready to move on to cooler walks with a hoodie on, jogging with leggings on, and crunching the leaves beneath my feet as I approach one of my bridges. Yeah. That's an analogy. What could that mean for you? With back to school and cooler temperatures (finally! ), fall is always the time of year when focusing on your health seems to either be put on the back burner, or it’s at the forefront because the holidays, they are uh-comin!. Oh! Either way, you don’t have to let this busy time of year take you down the Trail of Fail or the Trail of Overdoing. There are certain things you can do to have a healthier fall for you and your family. Simple Step Solutions, yes? We always think about apples and pumpkins in fall because it’s prime season for them. Sure, pumpkin pie and pumpkin spice lattes aren’t so good for us, but roasted pumpkin, pumpkin soup, or even mashed pumpkin is delicious and nutritious. Yum! Apples don’t need to go in pies to be tasty either. Slice them up with your favorite nut butter smeared on top. Personally, I LOVE to have them as a side with my homemade chicken soup or chili. Tasty. Look for other seasonal foods that will do your health good, and you'll find you can easily fill your plate with seasonal foods that you'll love. Ideally, you should do this before you notice everyone around you sniffling and sneezing. Keep your hands off your face and keep them clean. Boom! No brainer, right? Don’t forget good rest and a proper, healthy diet of a variety of foods will help you with prevention, too. By taking care of yourself, even if everyone else gets sick, you’ll be less likely to succumb to the germs. And if you do…it shouldn’t last as long. Admit it. One of your favorite things about fall is either Halloween or the Fall Festivals. Both can be a blast to decorate for and see all the kids in costume, but the most significant health problem we all face for this holiday is the surplus of candy. Tempting as it is to buy that big bag and stash it away for when the trick-or-treaters come around, don’t do it. If you can’t resist it, don’t buy it until just before Halloween (last minute, on sale) and choose something you wouldn’t eat yourself, or even better, keep the neighborhood happy and healthy by buying small sticker packs instead. There are numerous healthy and non-food Halloween and Fall Festival options to choose from! With the colder weather, it’s nice to get outdoors and enjoy the crispness on your cheeks. Ahh. It’s my favorite time! It’s nice for walking, jogging, hiking, biking, or just enjoying the change in the seasons. I love getting out and making note (and taking pictures!) of the leaves changing, falling, blowing. It's just SO beautiful! Staying active during the fall is an excellent practice in self-care and a simple way to keep your health in exceptional condition. With fall comes football parties and then the holiday season where it’s an endless buffet of food, sweets, and ever-flowing...libations. You don’t need to miss out on all the fun, but do choose wisely when you’re eating and socializing. Personal side note: I always say, "It's in my plan," because it is! I know when things are coming up, and I want to enjoy them, so...I make celebrations a part of my plan, AND make my best choices. You may be saying, "Deni...really. This wasn't anything new! I know all of this stuff!" And to that I say, "Yes, you probably do. You may have even heard it from me before." BUT...have you done it? Can you do it? Will you do it? That's what matters! Knowing is one thing, $ LASTNAME$. And doing is what it takes to stay healthy this fall. I love giving friendly and purposeful reminders that are simply, "checkins" to encourage you. With the cooler temperatures, I’ve already had my first fall batch of homemade chicken soup, and last weekend I prepared my first batch of homemade chili. These will be the first of many, in fact, chili was on my list to make yesterday! Actually, turned it on at 11:15p.m. last night. Why? Because my hubby and I LOVE to eat like this (we do have more choices!) for months to come. I love to make ahead and freeze some so we always have these available. I’d enjoy hearing how you’re preparing to keep fall healthy for you and your family! Please hit "reply" and let me know! I have something super fun for you today, Deni! I'm experimenting with doing recipe, exercise, and other informational videos using slides so they're easier to create and fun to watch. Would you like to see my first creation? Yay! You can "watch" my first recipe video as a gift HERE! It's time. I’m making some MAJOR changes to my business and time use. I’m excited to be serving awesome people that LOVE their results, and my time is devoted to helping those that LOVE me helping them. VIP Days that help you hunker down, focus in, and get the personalized support you need over a 6 to 8 hr period. (We have fun too, but don't tell anyone.) This can be online or in person! Does any of this sound amazing to you? Would any of this be helpful to support you in living your best lifestyle? Feel free to let me know what interests you most!! What would serve you best for change, support, accountability, and results? Well, to make this happen, I simply must make the best use of my time. So...I'm cleaning up the "list" of people I serve to make sure I'm serving the ones who really want it! I'm excited for this change in 2019! I'm doing this clean up here, on Facebook, and on LinkedIn. Yep. It’s important for me to focus. In fact, I did a FB Live about a month ago. I challenged people to let me know they wanted to receive information from me, and I promised to spend time “where the noise is.” Now it's time for me to deliver on that promise. By staying on my list of contacts, you agree to receive this information, along with other notifications and offers from myself and others I know can help as well. If this isn’t you, I encourage you to unsubscribe now! I don’t want to waste your time, or send you information that you don’t open, don’t like, or won’t use. Yes, some of the information is free. I love sharing and caring, but there are boundaries that protect my personal clients! And yes, there are offers that will require an investment. How much? Depends! What do you want to achieve? What is that worth to you? Do you prefer 1on1, or group programs? 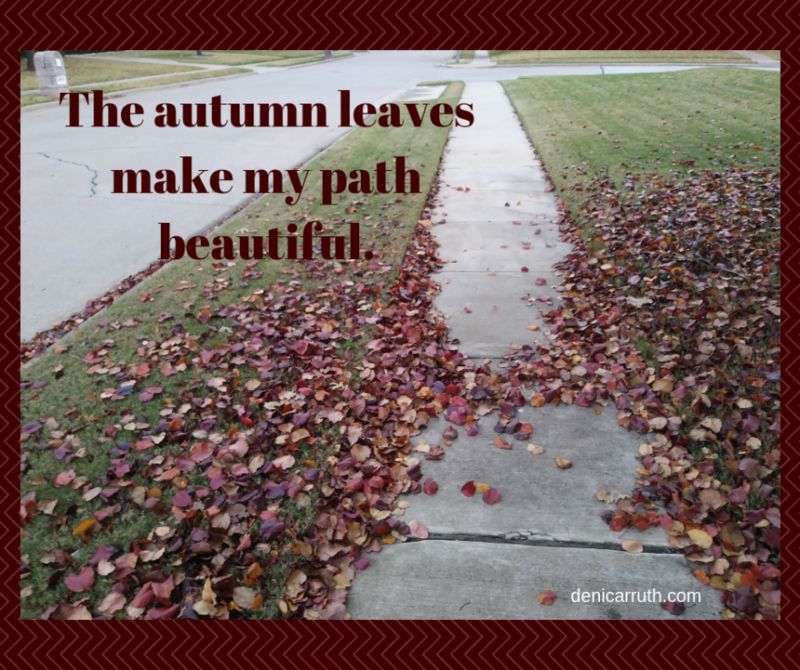 So….yay to autumn! Yep...fall is here, and we are rapidly approaching the holidays. Question is, do you want to hear from me going forward? What do you need? How can I best serve you? I’ve got a lot of cool things planned ahead. If you’d like a sample of coolness to “re”subscribe to make sure you receive more info and offers from me, I’d love to offer you THIS awesomeness. It's my Soup & Slow Down Series. When you enter your name and best email address, you'll also agree to receive more information from me going forward. Cool? If you don't take advantage, that's cool too. Enjoy the recipe video, and I won't bother you again. You can simply unsubscribe below, or I'll remove your name from my "serving" list before the next goodies go out if I don't receive your request. No hard feelings! I promise! P.S. Remember, you can watch your "gift" recipe video HERE. You can re-subscribe and accept another gift offer HERE. Or you can simply unsubscribe...below.